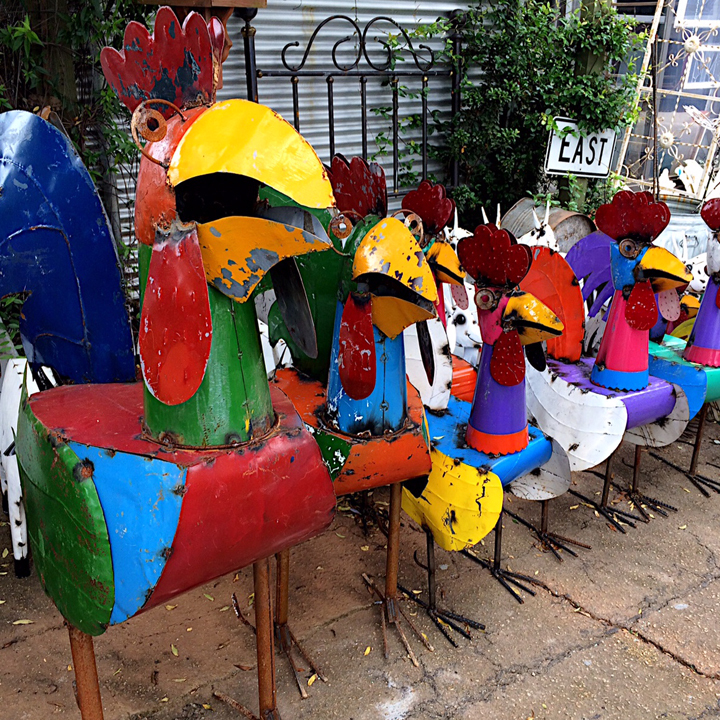 At Kudzu Antiques, you’ll love exploring our outdoor areas. 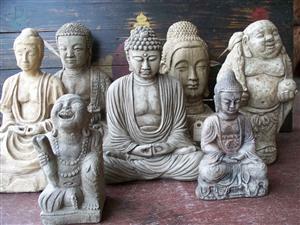 In front of the store we usually have a nice selection of vintage, restored patio and lawn furniture. You’ll often find motel furniture from the 50’s, porch gliders and chairs from the 50’s-60’s, and different styles of chaise lounges and side tables. 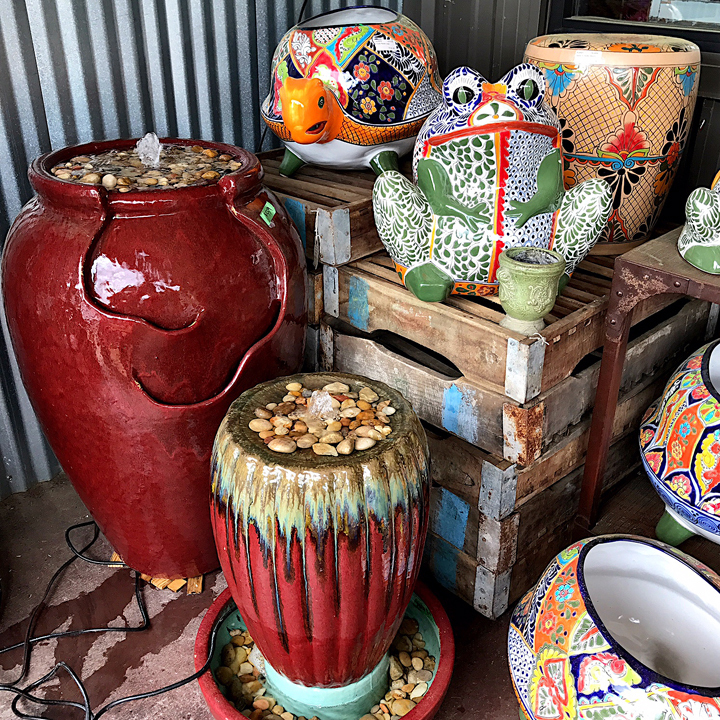 We also feature terrific selections of both all-weather and indoor pottery from around the world, at Atlanta’s best prices. 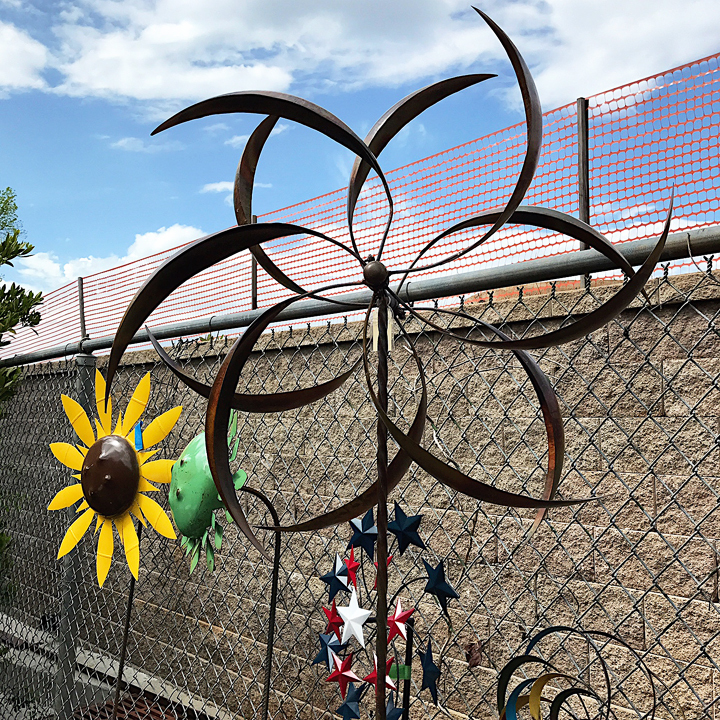 Our Pergola Courtyard is filled with funky and fun metal yard art from Mexico, made from recycled steel drums, as well as wrought iron arbors, garden fencing, planters, and furniture. (Not to mention our prize winning tomatoes!) 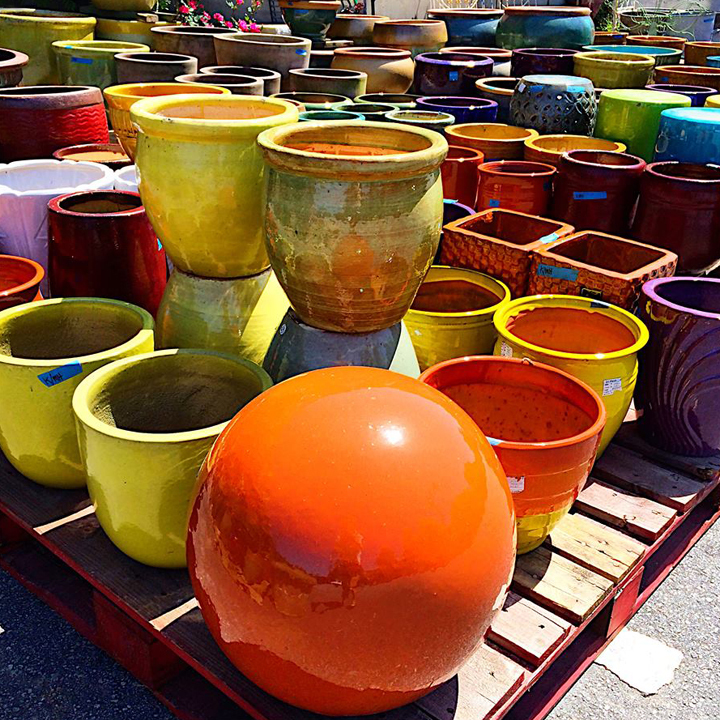 Here you’ll also often find vintage teak furniture, architectural items, and more porch furniture. Our Pond Garden area features sculptural items from both stone and metal, as well as the occasional flying pig. If you’re looking to make your yard, porch, or patio unique, Kudzu is the place for you. Fabulous Finds Since ’79!